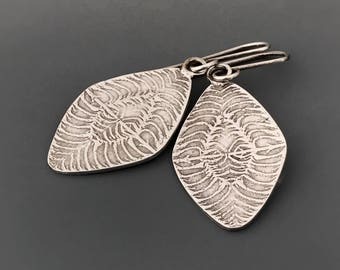 * A gorgeous and very unique pair of sterling silver dangle earrings in shape of a petal. I am making a series of jewelry designs based on textures made out of my nature inspired drawings. 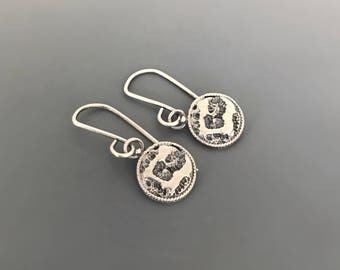 These earrings feature vaasvara's signature pattern. 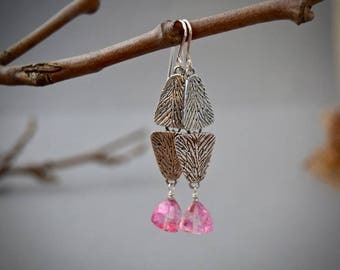 These earrings evoke images of wings, feathers and exotic blossoms all at the same time for me. 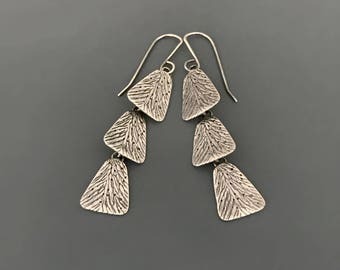 These are quite sturdy made with solid sterling silver and yet the subtle texture in addition to deep etching lends it a nice earthy, organic feel. * Please note that these feature hand-fabricated 18 gauge thick sterling silver ear wires. 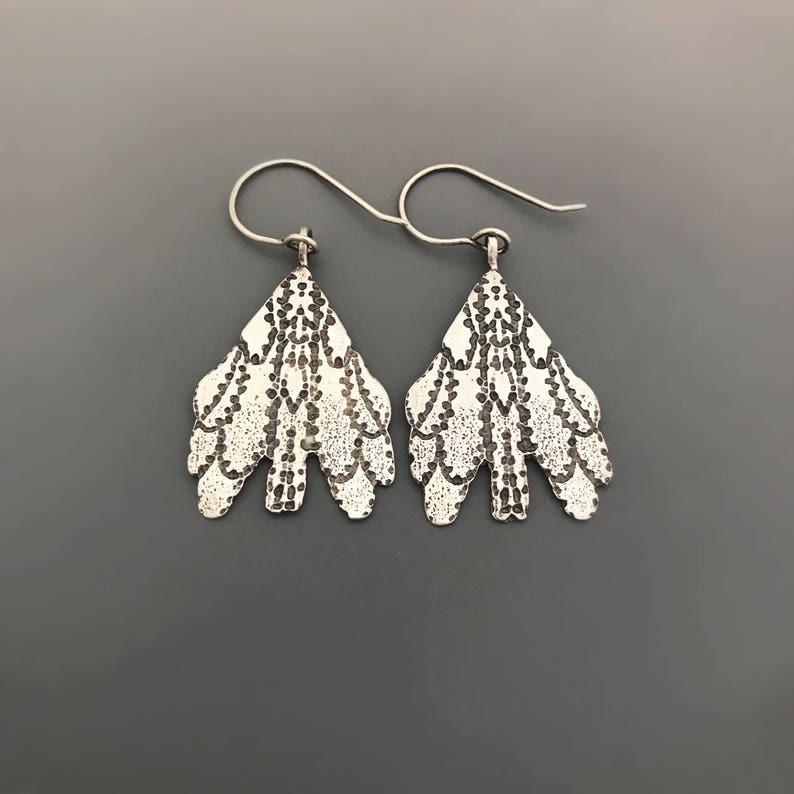 * This pair is offered in bright and lightly oxidized silver, please choose your finish while ordering. Thanks for visiting my shop! If you have any questions feel free to convo me. I hope you feel inspired by love and admiration for nature.